Amazon is kickstarting a new sale with the name of Fab Phones fest tomorrow. The e-commerce giant will be retailing many smartphones, new releases from brands along with very attractive offers and discounts. However, the most attractive part about this sale would be the discount on the OnePlus 6T. For the first time since its release, the OnePlus 6T will be getting a price cut and what’s interesting to note is that this will be no minor price cut as the phone’s price will drop directly by Rs 3,000. The flagship phone from OnePlus will be available for Rs 34,999 for the base variant. There are also going to be additional benefits from HDFC Bank which will further bring the MRP of the phone down by an additional Rs 1,000 thus totalling the discount on the phone to Rs 4,000. It is worth noting that this would be the first major price cut on the phone ever since its release in the second half of 2018. 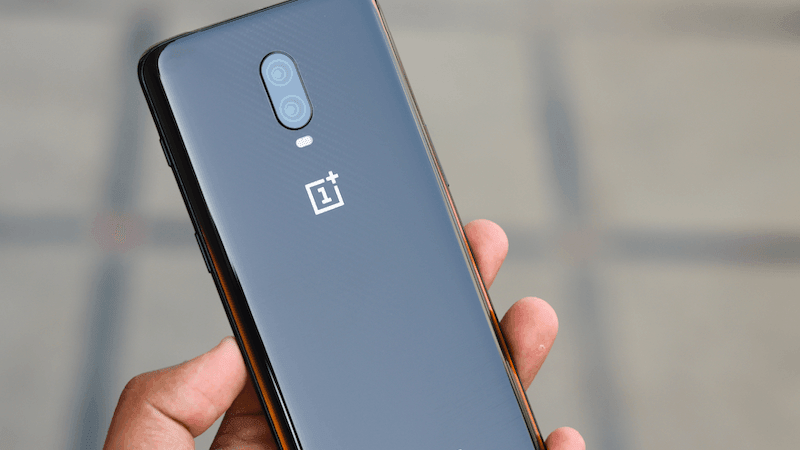 The price cut also makes sense since the release of the next OnePlus flagship, OnePlus 7, is not a long wait now. The base variant of the phone which comes in a 6GB RAM and 128GB storage specification is usually available with its original price tag of Rs 37,999, however, it will go on up on the shelves tomorrow with a price tag of Rs 34,999, but for HDFC Bank customers, the phone will bear an even more attractive price of Rs 33,999. As you climb up the ladder and see the price of the higher variants of the OnePlus 6T, you will see that Amazon is offering these devices with even more offers. The middle variant of the OnePlus 6T which comes with 8GB RAM and 128GB storage will be available for Rs 37,999 after a price cut of Rs 4,000. The total benefit for HDFC customers will be Rs 5,000, and it will bring down the effective price of the phone to Rs 36,499. Similar will be the case for the highest variant with 8GB RAM and 256GB storage which will retail for Rs 41,999 down from its original price tag of Rs 45,999. Just like the other two models, HDFC Bank customers will be able to enjoy an additional Rs 1,000 discount which will bring down the price of the phone to Rs 40,999. Currently, in the market, the Apple iPhone XR has also got a massive price cut of Rs 17,000 and is now retailing with a price tag of Rs 59,900. Samsung, however, is not shipping its flagship line-up device, the Galaxy S10e with any price cut and it is currently available for buying with a price tag of Rs 55,900. Right now, the OnePlus 6T remains slightly behind these abovementioned phones but considering its price range the OnePlus flagship offers one of the best Android experience and smooth performance given its highly touted OxygenOS. The phone comes with teardrop notch and packs the Snapdragon 845.
hdfc discount is 10% upto 1500 rs, so onplus is available at 33,499 not 39,999 kindly update article .